A one-piece bell has an axial (lengthwise) seam, making it a continuous extension of the instrument's material. This results in pure, uniform resonance and superior tone. A hammered, yellow brass bell produces a pure and perfectly-balanced tone with quick response and extra presence due to advanced manufacturing techniques. This type of leadpipe offers excellent intonation, response and proper resistance. The step bore design is a medium bore trumpet fitted with a large bore tuning slide. This design allows for smoother air flow with less resistance. The main tuning slide on the YTR-6335 has a single brace which creates moderate resistance in the horn with a slightly darker sound. The YTR-6335 trumpet is available silver-plated (YTR-6335S) or without a case. 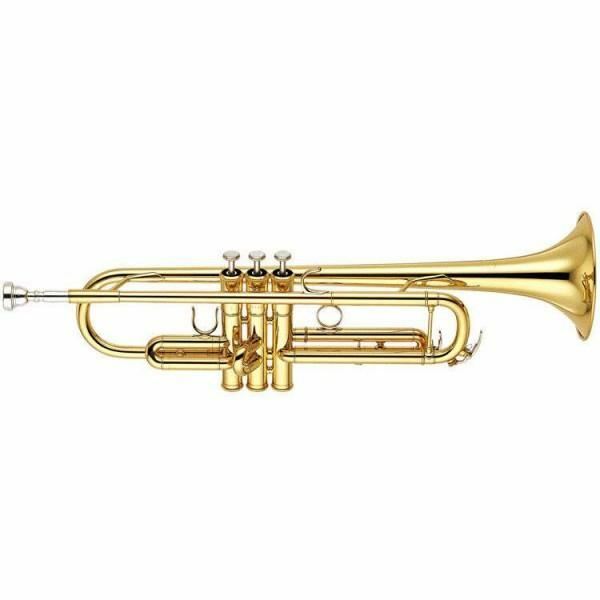 Yamaha YTR-3335S Bb TrumpetFor the first time Yamaha has designed a student trumpet with a reversed main tuning slide allowing for an exceptional feel and response. The YTR-3335 has the addition of a brace on the main tuning slide for a more stable and solid sound. The newly designed two-piece yello..
Yamaha YPC-81 Professional Handmade PiccoloThese piccolos are handcrafted by accomplished artisans and have bodies of top grade grenadilla. The YPC-82 features a sterling silver headjoint while the YPC-81 features a headjoint of grenadilla.FeaturesHandcrafted QualityHandcrafted piccolos feature a se..
Yamaha YPC-32 Standard ABS Resin PiccoloWith its easy playability, accurate intonation, and characteristic piccolo sound, the YPC-32 is very popular with students as well as doublers. The body is made of sturdy, maintenance-free ABS resin for a sound similar to that of natural wood.FeaturesIdeal Con..
Yamaha YBS-62 Professional Eb Baritone SaxophoneYamaha's 62 series saxes have become a modern classic and are used by leading professional players worldwide. Their strong clear sound, and excellent playability have set new standards in professional model saxophones. In addition the 62 series saxes o..